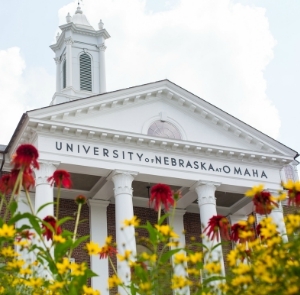 For more than 100 years, the University of Nebraska Omaha (UNO) has served as the point of access for excellence in higher education. Dr. Jeffrey P. Gold, M.D., the University of Nebraska Medical Center’s chancellor since early 2014, added leadership of UNO to his responsibilities on May 8, 2017. Dr. Gold is a nationally recognized leader and tireless advocate for transforming higher education, academic medicine and health care delivery. The Board of Regents consists of eight voting members elected by district for six-year terms, and four non-voting student Regents, one from each campus, who serve during their tenure as student body president. The board supervises the general operations of the university, and the control and direction of all expenditures. The current University of Nebraska President is Hank Bounds. On Jan. 12, 2015, the Board of Regents appointed Bounds as the seventh president of the University of Nebraska. As president, Dr. Bounds leads the University of Nebraska and its four campuses. There's strategy behind everything we do at UNO. Read our carefully drafted strategic plan and learn how it's implemented across campus to support students and faculty in their pursuit of scholarly excellence and research. Our value is a direct result of our relentless dedication to our mission: deliver excellence in academics; commitment to students; and remain locally and globally engaged. We call this the UNO Advantage.